Naples, March 1931, and Maestro Vezzi, one of the world’s greatest tenors and a favourite of Mussolini is found stabbed to death in his dressing room at the famous San Carlo Theatre. There’s plenty of suspects, given that nobody who knows him has a good thing to say about him other than he’s a brilliant opera performer, but everyone seemingly has an alibi given they were either absent or taking part in a dress rehearsal. Commissario Ricciardi is assigned the case and sets to work with his loyal colleague, Brigadier Maione. Like Vezzi, Ricciardi is not well liked, being distant and direct, relentlessly pursuing cases as if he has a personal stake in the outcome. Ricciardi’s affliction is that he can see death scenes and the final few moments of a victim’s life and associated sorrows, which then haunt his investigations. With pressure rising from Rome, Ricciardi makes slow progress as he tries to find a clue that will crack open the case. I Will Have Vengeance is a locked room mystery set in an opera house. The story has a well realised sense of place, especially with respect to the San Carlo Theatre, and nice historical contextualisation, placing the reader in Naples in 1931 and its warren of streets, sights and sounds. The plot is well constructed and has a couple of decent red herrings and blind alleys. The story seemed to wobble a bit towards the end, but De Giovanni finds a plausible and fitting resolution. The real strength of the book, however, is the characterisation. There is a well penned set of supporting actors, but star of the book is undoubtedly the troubled and mournful Commissario Ricciardi, who’s haunted by the ghosts of the dead that surround him and conducts a love affair which involves no contact or words. Whilst the story is generally well told, I did on occasion find myself skipping back pages or re-reading sentences to decipher meaning, which was a slight distraction. 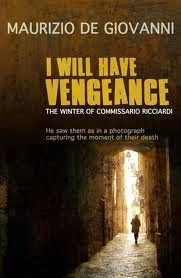 Overall, an interesting and engaging historical mystery and I look forward to catching up with Commissario Ricciardi in the future. I'm off to Stirling in Scotland tomorrow to present a talk at an education symposia on Tuesday, so I've made a start on Gordon Ferris' Bitter Water to put me in a Scottish frame of mind. 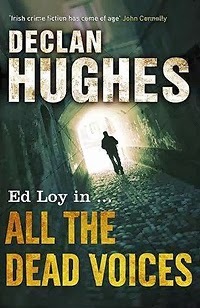 The book is set in Glasgow immediately after the Second World War and follows the exploits of Douglas Brodie, ex-copper, ex-soldier, and the newest crime reporter in town. Another huge wave broke over the promenade, its spray arcing up and crashing down. Mike turned and pointed, his face beaming as he struggled to stay upright. Emma tried to signal to him, but he turned back, wading towards the railing, his camera raised to his eye. The next wave thumped into the sea wall. The fluorescent water rose up, towering over Mike’s figure. Then it tumbled down enveloping him. When the spray cleared the promenade was empty. The proofs for The SAGE Handbook of Human Geography have arrived, all 732 pages of them. The end is finally in sight! I'm slightly biased, but I think it's a great collection of essays by a set of wonderful authors. It should be published by April/May, hopefully. The dust jacket is right. Here's the line up. In the late 1950s, two years after his fateful investigation into the death of Christine Falls, pathologist Quirke is still working in a Dublin hospital. He’s made an awkward truce with his daughter, who is now in her early twenties, and he’s given up drink. When an old acquaintance from his college days asks him not to perform an autopsy on the body of his dead wife to save her from the stigma of suicide, Quirke cautiously agrees. Deirdre Hunt has been recovered from Dublin Bay. Only she didn’t drown. Nevertheless, Quirke decides to keep that information to himself and to perjure himself at the coroner’s hearing. Fascinated by the case, however, he starts to poke around only to find his daughter having an affair with Deirdre Hunt’s business partner. Moreover, Inspector Hackett has become interested in the death and Quirke is left wondering if he made the right decision to help Billy Hunt. Compared to many contemporary crime fiction novels, which have a relatively quick pace and are packed with melodrama or dramatic action, The Silver Swan is quite sedate. 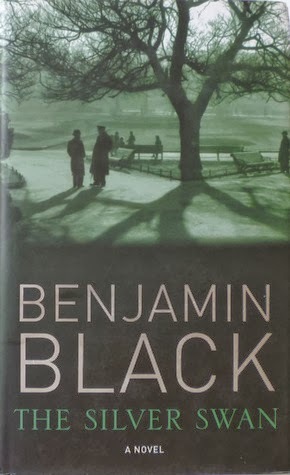 Benjamin Black’s (John Banville) style is understated, atmospheric drama, told with a steady cadence of unfussy prose. It is well suited to portraying the drab city streets of Dublin and the conservative and reserved society of Ireland in the 1950s and its hidden, seedy underbelly. The book hinges on two events that at first seemed unlikely: Quirke’s decision to lie about an autopsy and his withdrawn and distant daughter taking up with the victim’s flamboyant business partner. However, the first makes some sense when placed into the context of Ireland in the 1950s, when suicide carried significant stigma, and the second works well in terms of introducing a certain edge to what is generally a quite a flat story. The plot is nicely set out and the characters well drawn, with Quirke a reticent, taciturn and troubled investigator. 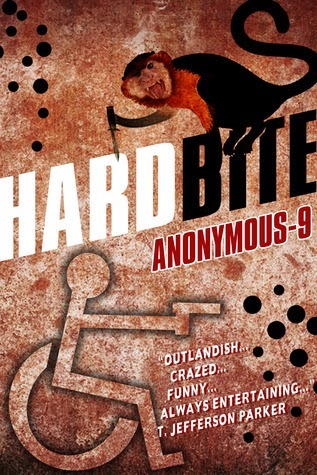 Overall, a tale that takes a different path to most crime fiction. If you're interested in the property crash in Ireland, then I've recently done two 10 minute interviews on RTE Radio 1. The first on This Week on January 5th (postcast here) and the second on Drivetime on January 17th (podcast here). I've also written two blog posts explaining where things are at and what that might mean. Is a new house price bubble forming in Dublin and could creating more supply temper price rises? I did a fair bit of media work last year, including 3 television interviews, 11 radio interviews, and interviews with journalist that resulted in 15 mentions in international newspapers and 29 in national ones. It's not something that I proactively court, and I turn a fair bit down when its not my area of expertise or pass them to colleagues, but I do think it's important for academics to contribute when they can, so I'm happy to participate in debates when asked. My to-be-read pile is not short of books at present, but that hasn't stopped me ordering the following books at the local bookshop in a new year splurge. Just a couple of days after placing the order I've now read a post over at Col's Criminal Library and I now have five new books on my wish list. I think I'll wait a while before seeking these out though; at least, until I've read a good few of the one's I've already ordered. I've just enjoyed another week of reading Irish crime fiction, working my way through Tana French's Broken Harbour and Benjamin Black's The Silver Swan. The books are set sixty years apart, but both evoke a certain kind of melancolic Irish landscape. I hope to post reviews sometime next week. His eyes fixed on the monitor, Hasker’s fingers tapped at the keyboard. 7,000 miles away the drone locked onto a small encampment, quiet in the early hours. They watched as four missiles landed in quick succession. Figures stumbled through the wreckage and flames. On a hot summer evening, teenagers Val and June decide to have an adventure. They take a small inflatable pink raft and walk down to the shore in Red Hook in Brooklyn. First they seek to join an old friend, Monica, who brushes them off, before pushing off into the sea, watched by a young man, Cree. Early the next morning, Jonathan, a disillusioned music teacher, finds Val under the pier and carries her to a nearby Lebanese grocery run by Fadi. From there she is whisked to hospital where she claims to have no memory of the night before. A search is launched for June, but no trace can be found of her. Over the following weeks a dark cloud hangs over Val, Jonathan, Cree, Monica and Fadi, each of them feeling out of sorts as they come to terms with June’s disappearance and their relationships to each other and the local community. Most crime novels dwell on the crime itself and how it is solved, with the lead characters being the detectives and/or criminals. Visitation Street takes a different approach, instead focusing on the friends and community in the aftermath of a crime whilst still moving the story to a resolution. 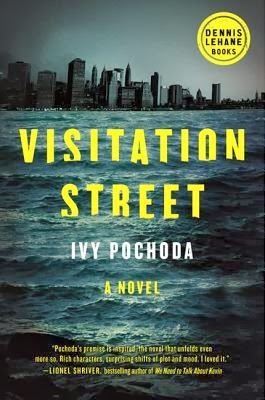 In so doing, Ivy Pochoda tells a layered tale that has a great sense of place and social depth, dropping the reader into the world of Red Hook and its inhabitants, with keen observations regarding race, class, family, and urban life. Her characters are very nicely portrayed and their interactions and dialogue realistic. The plot has a nice cadence, the prose is evocative, and the telling has a strong emotional register, especially a sense of foreboding, without ever slipping into melodrama or psychological suspense. The result is a thoughtful literary crime novel that also offers an illuminating social commentary on life in a Brooklyn neighbourhood. 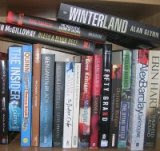 Of the 110 books I read and reviewed last year 20 were books by Irish authors, all but two of which were crime fiction. I think that proportion is a reasonable slice of my overall reading and hope to continue in the same vein this year. Irish authors are presently producing some really top-notch, engaging and entertaining crime stories and all the books below are worth a read. Dickie Bow used to be a bottom-feeding British intelligence agent operating in Berlin in the 1980s. When he spots one of his old time Russian rivals he decides to shadow him. Only Dickie never completes the journey, being found dead on a replacement rail bus travelling between Reading and Oxford. Nobody is suspicious about his death except Jackson Lamb, head of Slough House, a dumping ground for washed up intelligence workers. An unsent message on Dickie’s phone points to Alexander Popov, a master spy that the British had discounted as a fake profile, and a network of deep sleeping moles. His interest piqued, Lamb starts to investigate using his team of misfits. Two of the team, however, have been seconded to help facilitate the recruitment of a Russian billionaire with political ambitions. Something is not quite right about the operation, but both are looking for a route out of Slough House. A skilled political operator with a nose for intrigue and deception, Lamb sniffs trouble and soon finds it. Dead Lions is a modern day spy story set in London and the home counties. It’s central cast are a handful of misfit intelligence workers who have been reassigned to Slough House for various misdemeanours, some personal (alcoholic, gambler, anger management), some operational (messed up an operation). They are led by the irascible snide, Jackson Lamb, who after years in intelligence knows where all the bodies are buried and how to play the game. 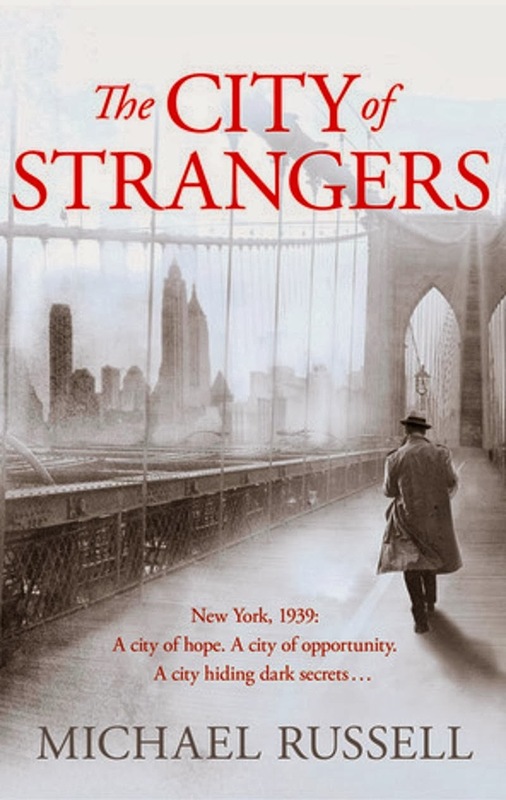 The plot has two strands -- the death of a former intelligence agent and the possibility of a deep sleeping network of Russian agents being reactivated, and the potential recruitment of a Russian billionaire by British intelligence -- that Herron carefully intersplices, leading to an exciting dénouement. 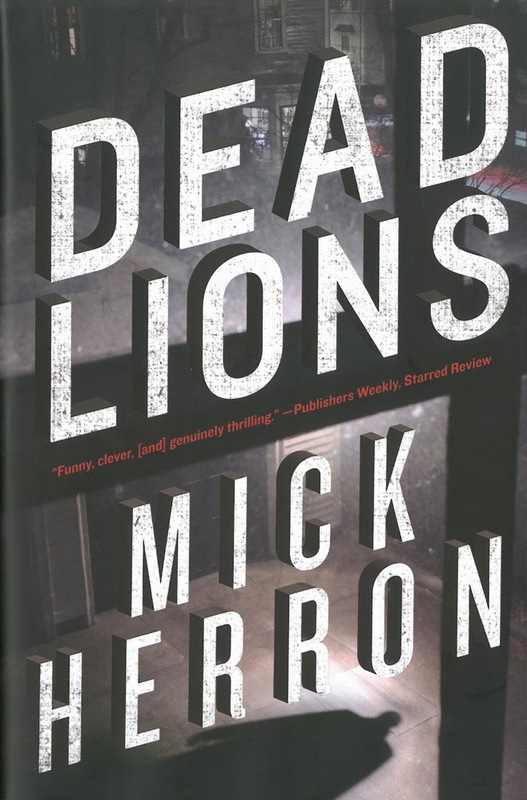 What separates Dead Lions from other contemporary spy fiction is Herron’s colourful, crafted prose, the use of some interesting narrative devices, such as a cat’s tour of Slough House at the start and a mouse’s at the end, the underlying black humour, and his cast of nonconformist agents. The characterisation is very nicely penned, as are the engagements between characters. The plot is engaging and entertaining, but at times felt a little too fanciful. Dead Lions was a great read and I intend to read the first book in the series, Slow Horses, and to continue to follow the adventures of the Slough House team. My reading for 2014 has got off to a great start. 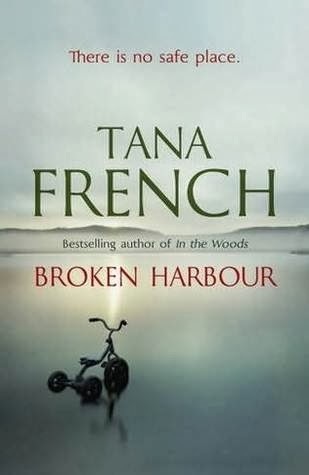 Both Mick Herron's Dead Lions and Ivy Pochoda's Visitation Street proved to be wonderful reads (reviews this coming week), and I'm now a fair bit into Tana French's Broken Harbour. If the standard continues in the same vein for the rest of the year it'll be a vintage twelve months (fingers-crossed). ‘Len?’ Sally shook a hairy shoulder. He felt the mattress shift as she left the bed. Len tugged the curtain back further. ‘Jesus. The car!’ He dashed from the room. ‘Just be thankful it didn’t land on the house,’ she called after him. It's always nice to discover new authors and their stories. Of the 110 books I read in 2013, 67 were by 63 authors that were new to me. 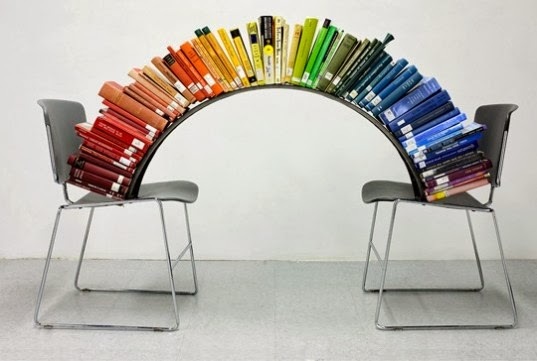 I'd be happy to read other books by just about all of them and no doubt will over time. 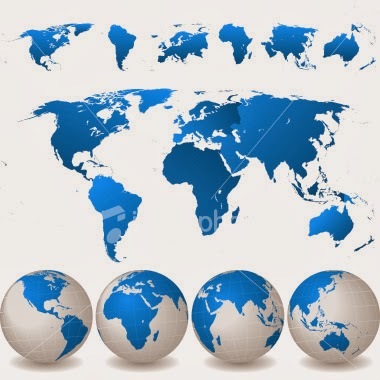 I managed to travel virtually to 26 countries during 2013 via the books that I read. Here's the breakdown, with the full list of titles and links to reviews below. I read and reviewed 110 books in 2013, way more than the 80 I hoped to read. As a whole it was a good year of reading and here are my ten favourite fiction books (not all of which were published in 2013). For full reviews of each book click on the links and to see all 110 reviews click here. 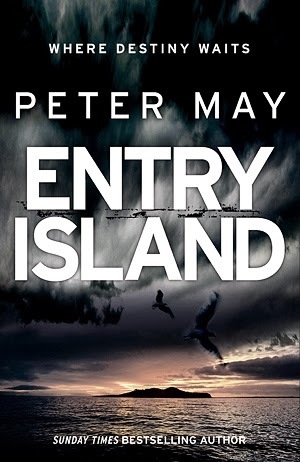 Witty and smart, with a nice mix of darkness and light, pathos and humour, and a cleverly worked plot. Patrick Fort is a lovely creation - truthful, logical, obsessive and unintentionally abrasive - and the other characters are fully formed. The plot is nicely put together, with a couple of very nice twists towards the end of the story. There isn’t a word out of place, and the story is all tell and no show. An excellent piece of literary crime fiction. Original, witty, smart, dark, and hard with a soft-centre. Elaine Ash (Anonymous-9) writes in very assured and sparkling prose that is all show and no tell, and which swaps between the first person narrative of Dean and the third person of the other characters. The plot is very nicely put together, and whilst it could have twirled off into a screwball noir, it manages to be darkly comic without descending into farce, and wheels an interesting path through a morally fraught landscape. Along with good contextualisation, there is also a decent sense of place in both LA and Mexico. 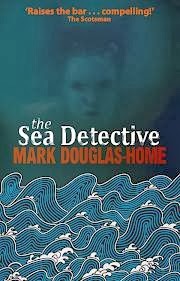 One of the most original crime and enjoyable novels I’ve read in a good while. A compelling, page-turner police procedural/political thriller that punches all the right buttons - gripping plot, strong characterisation, excellent historical contextualisation, well realised sense of place. Gillespie is a well penned and engaging lead, with a well developed back story. He is accompanied by a mix of fictional and real characters who are all alive on the page and whose interactions are nicely observed. There is a balanced blend of Irish and international politics, supported by some nice historical detail that is informative without swamping the story. 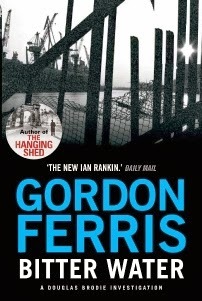 A very fine piece of crime fiction. There’s very little to fault in Cline’s storytelling or the detailed world he creates, which has a strong sense of plausibility and realism. The story hooks the reader in and the pages keep turning. The characterisation is nicely done, the plot is excellent, and the contextualisation is very well realised. 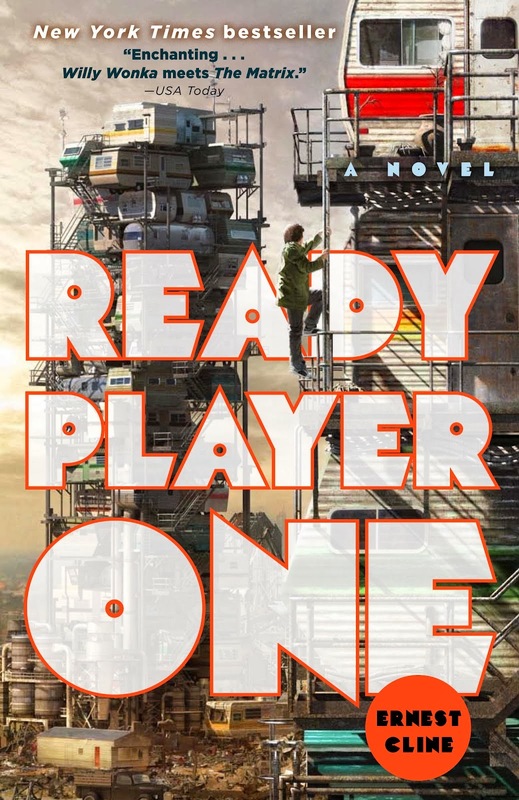 It’s clear that Cline spent a lot of time on the details and it shows - it’s a tale about a bunch of geeks doing geeky stuff that is geeky in its creation. It was a joy to read given its strong plotting and intertextuality. A cracking read and a lesson in how write all tell and no show, using tight, sparse, expressive prose. There isn’t a single sentence that doesn’t propel the story forward. The characterisation is excellent and the plot is tight and gripping, with a series of wonderful scenes and realistic dialogue. The whole book is wonderfully evocative of Dublin before the crash, colliding together the worlds of criminal gangs and the corporate elite. An excellent tale, very well told. A hugely enjoyable read, told in an engaging and compelling voice. An awful lot happens in its 280 pages, but at no point does the story feel overcomplicated or underdeveloped or overly contrived. The characterisation is excellent and Douglas-Home is particularly good at framing and playing out a scene and the interactions between characters. There is a strong sense of place throughout, especially with respect to rural, coastal Scotland. The plotting is, in my view is exceptional, creating a story that hooks the story in and incessantly tugs them along on a gripping, emotional journey. A country noir of the blackest kind, offset with strong bittersweet undertones. The story charts the intersections of three principal characters over the course of a murder investigation: an aging sheriff with Alzheimer’s, an unbalanced deputy with a drug habit and a Christina Ricci obsession, and a former marine haunted by his time in Iraq and Afghanistan. All three characters are very well drawn and developed as the story progresses. There is a good sense of place and contextualisation concerning small town, rural America, and the plot is compelling, building to a violent but nicely done denouement. 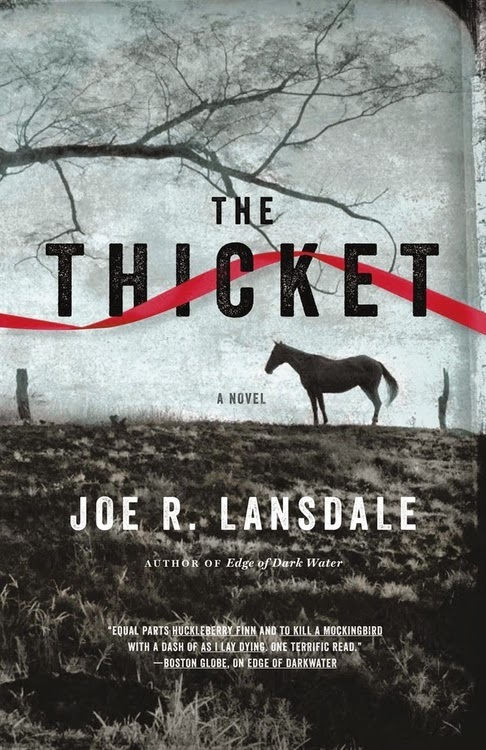 Set just as oil is being discovered in Texas and the first cars are bumping along unpaved roads, The Thicket is an adventure yarn that is a mix of Tom Sawyer, Stand by Me and True Grit. The strengths of the tale is its voice, characterisation, sense of place and time, and plot. The story is told as a form of a reminiscence through a very engaging narrator’s voice that makes it feel as if it’s the transcript of porch-told tale. The plot is a boys own adventure with a large dose of spice and grit, that is perfectly paced with the right balance of action and reflection, and the reader is placed into the landscape of East Texas in the early twentieth century and its social relations and rhythms. 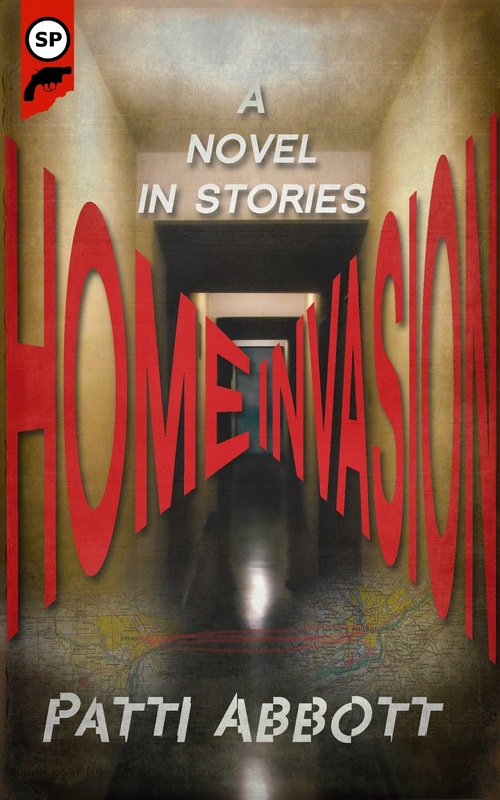 Home Invasion follows the trials and tribulations of different generations of a dysfunctional family of grifters over nearly half a century. Each chapter is set in a different year at a key inflection point in a family history, told through evocative prose and a narrative that perfectly captures the unfolding scenes, the tenuous web of social relations, complex swirl of emotions, and the foreboding that things will never quite work out as desired. A dark, unsettling, sympathetic and thoughtful tale that never quite extinguishes hope. 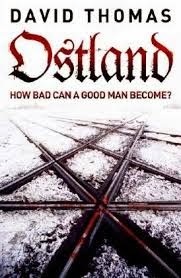 A fictionalised account of parts of the career of ‘Dr’ Georg Heuser – his part in solving the famous S-Bahn murders and his role in the murders of thousands of Jews and others in occupied Russia a few months later, and his arrest fourteen years after the end of the war and subsequent trial. 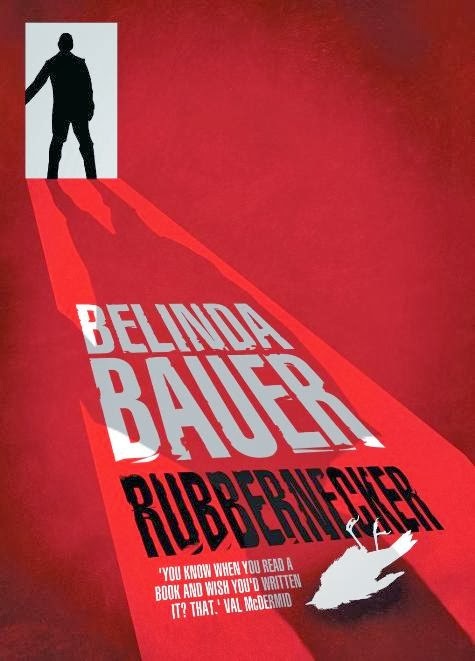 A story that becomes more compelling and disturbing as it progresses, especially as cracks and doubts are added to Heuser’s professional demeanour and the account unsettles what would seem like commonsensical judgements about Heuser’s actions. A thought-provoking read and whilst the story is quite simply told, it packs a very powerful punch.